Car Sales Online Hamilton – Budds’ BMW Hamilton. Looking for car sales online in Hamilton has never been easier with Budds’ BMW Hamilton. Our online store has a massive selection of quality new and pre-owned driving machines, and you will not be disappointed with the selection. Shopping online is becoming more and more popular in today’s society and Budds’ BMW Hamilton has started to cater towards a crowd of people who like to shop from the comfort of their own homes, or from their mobile devices while they are out and about. Car sales online in Hamilton can be found by simply visiting our website and scanning through our extensive inventory for the vehicle you are looking for. Budds’ BMW Hamilton also values our customers and we pride ourselves on providing you with quality customer service from the moment you step foot into the dealership, and visit our online store. Large Inventory of Car Sales Online in Hamilton. In order to have a successful online store, a car dealership must provide the customer with a large amount of choices. People who are looking for BMW car sales online in Hamilton want to be able to visit a website and know that they can scan through page after page of exceptional driving machines and know that they are looking at very high quality automobiles. Whether you are looking for a brand-new vehicle or a pre-owned vehicle, you will be able to find it on our website. We have SUVs, sedans, coupes, sports cars, performance cars, and luxury vehicles, and you will be able to find something in your price range with the features you are wanting. Looking for car sales online in Hamilton is also beneficial because you will be able to get an idea of the vehicle you want, with the information you need about the vehicle, before you come into the dealership to test drive it and hopefully purchase it. Budds’ BMW Hamilton knows about the soaring cost of vehicles, and if you are going to be spending your hard-earned dollars on a BMW vehicle, we are going to make sure that we meet your customer service expectations every step of the way. This is no different with our car sales online Hamilton either, we have provided many options for you to take advantage of when you are shopping for a BMW vehicle online. Everything you need when you are buying a car is there for you on our online store, and if you are the type of person that likes to take your time when purchasing, and doesn’t like to be approached by salespeople, our online store will be perfect for you. We have provided you with the option to have your current vehicle appraised, the number of vehicles left in stock, book a test drive option, build a price where you can add or subtract features like the color, the transmission, wheels, window tint, interior, and financing options as well. Everything that we would cover with you while you are physically in our dealership, can be covered online from the comfort of your own home, aside from signing paperwork and payments. 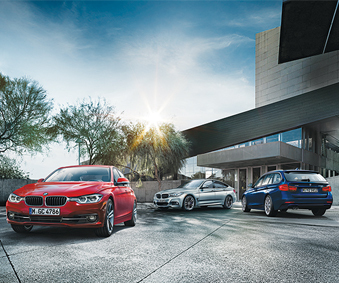 Car sales online in Hamilton has never been easier at Budds’ BMW Hamilton. Our mission is to make your car purchase as convenient and successful as possible, and our online inventory can provide that for you. If you would like to get additional information about BMW premium driving machines, please feel free to call us or email us, and you can schedule a test drive at your earliest convenience either online or by phone. We are happy to get you behind the wheel of a quality driving machine that will give you an exhilarating driving experience.